You’ve heard of babysitting. But have you ever heard of puppy sitting? 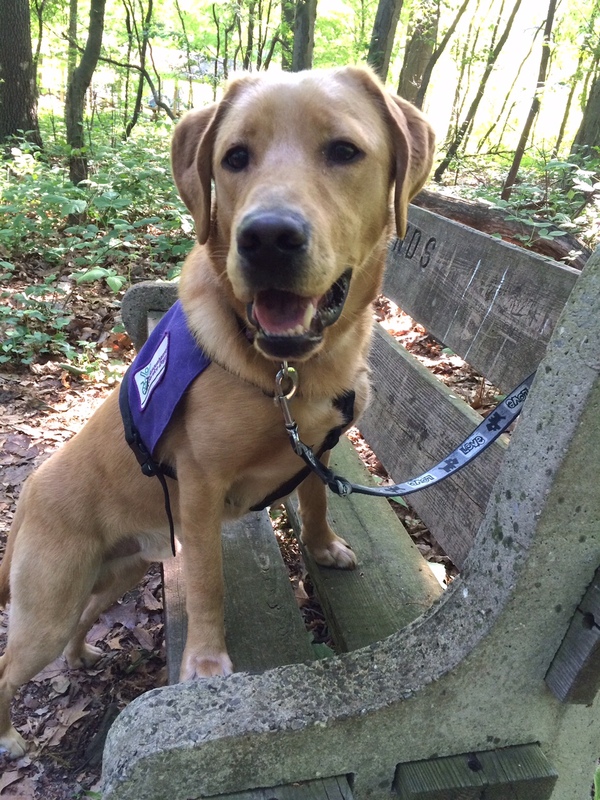 I never did, either, until a co-worker introduced me to Susquehanna Service Dogs. He told me that his family had just visited a place where they were able to hug puppies for an organization which trains and raises service dogs. My co-worker thought that this would be a good way for me to get my “puppy fix,” since I wasn’t ready to get another dog at that time. 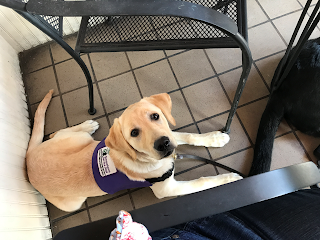 When he told me about puppy hugging, I said “Wow!” I didn’t know that an opportunity like this was available and I immediately checked Susquehanna Service Dogs’ website to find out where and when I could sign up to do puppy hugging. I quickly found many more volunteer opportunities available to help this wonderful service dog program. 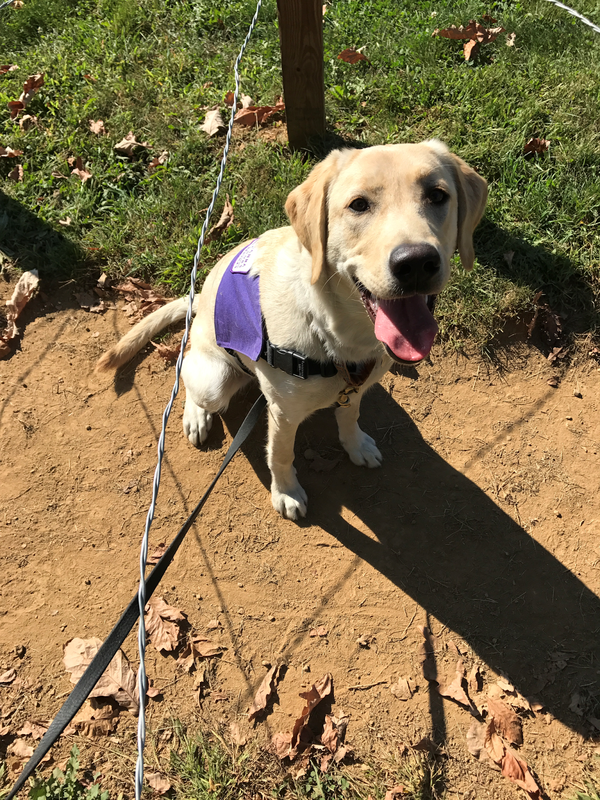 After my first adventure in puppy hugging, I was hooked and knew I wanted to become more involved with Susquehanna Service Dogs. 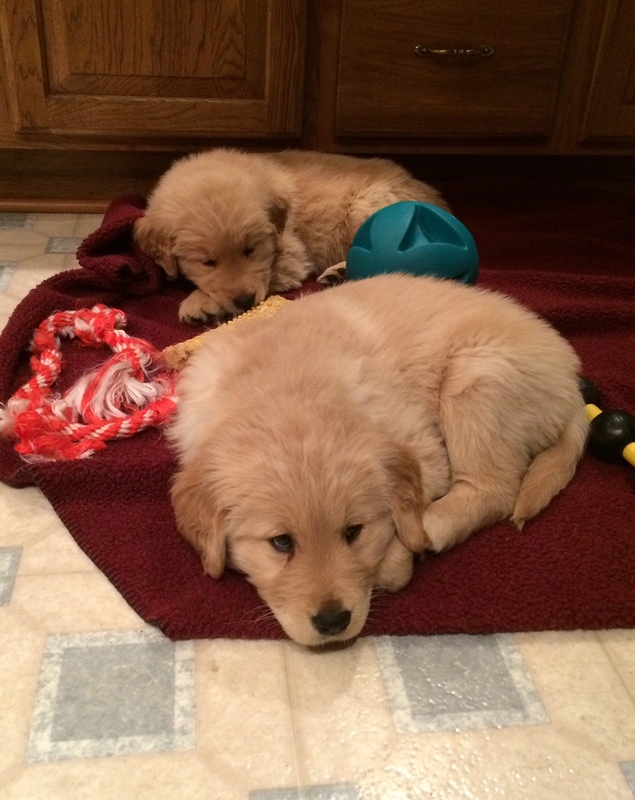 I wasn’t ready to raise a puppy just yet, so I decided to volunteer as a puppy sitter. This turned out to be an excellent decision, as it is the best of all worlds for me. Having the ability to sit many different dogs fits my schedule very well right now. It is wonderful to see their distinctive personalities and watch their skills develop as they grow. 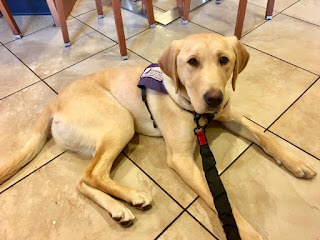 As a sitter, I am able to attend puppy sitting classes, as well as take the dogs to their training classes and learn how to train them, using the positive reinforcement clicker technique employed by Susquehanna Service Dogs. This gives me a chance to practice my training skills, as well. 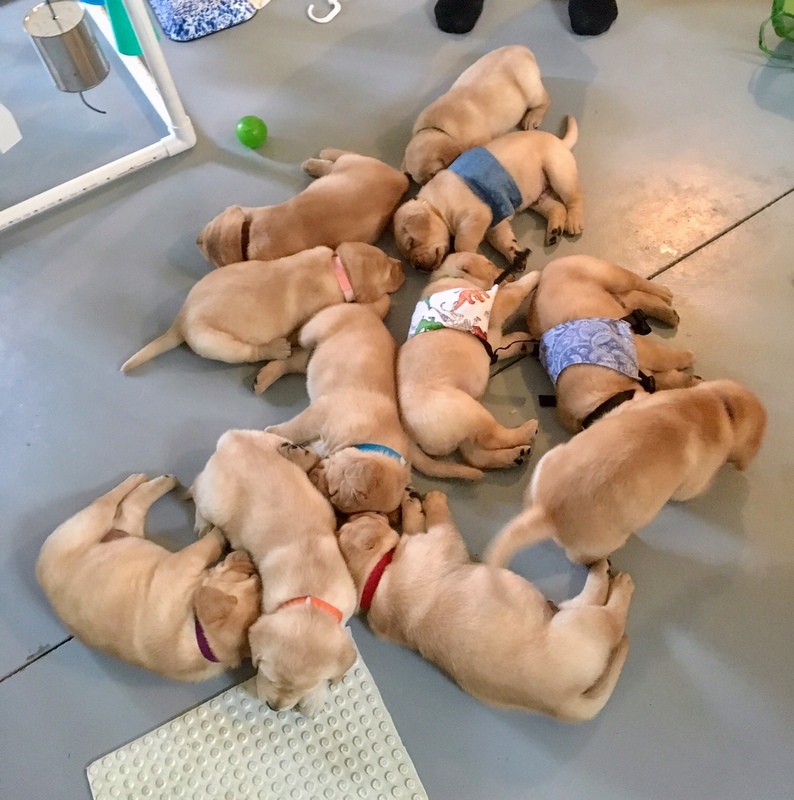 Sitters may also participate in all other volunteer opportunities available, such as demonstrations, the two by two program where volunteers puppy sit two 8-week-old puppies overnight, and others. There is also plenty of time for play. My first puppy to sit was SSD Slider (now discharged) and he was the perfect introduction to puppy sitting for me. This sweet boy has a delightful personality and will always hold a special place in my heart, since he was my first official assignment. Slider ultimately chose another career as a beloved family pet, but luckily I still get to visit with him on a regular basis. I have been fortunate to work with many wonderful pups who have become great service dogs, providing independence and assistance to those in need. 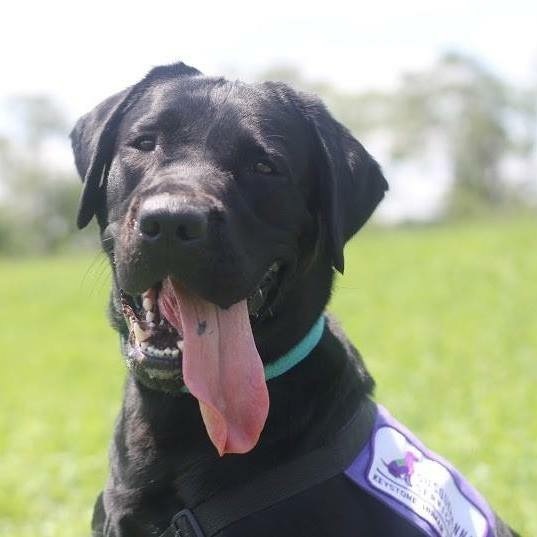 Part of the education process in the world of service dogs is understanding that each dog ultimately chooses his own career. 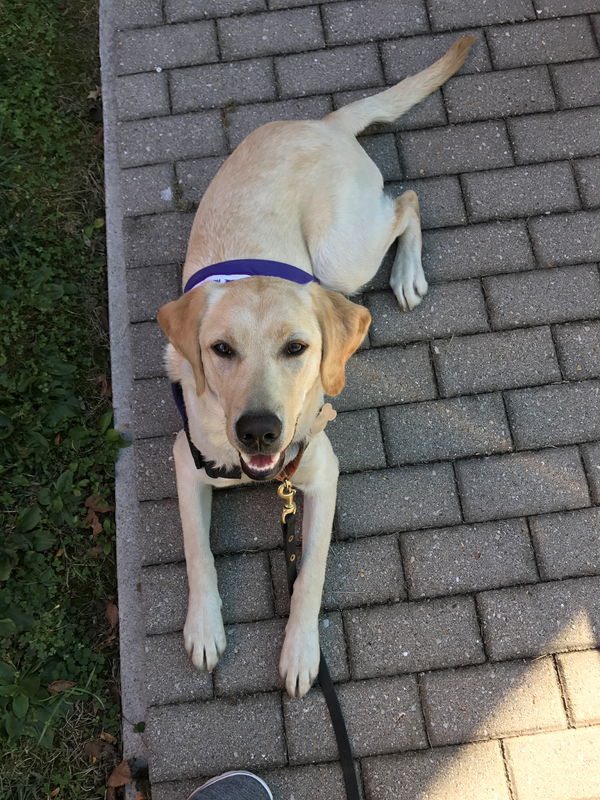 While some may not become service dogs, they may be suitable for other jobs, such as working in law enforcement or the CIA. They also may be happiest as a family pet. And that’s perfectly okay, too. I can’t imagine not being a volunteer with Susquehanna Service Dogs. The capabilities of these dogs to give people independence they may not have had otherwise is nothing short of awe-inspiring. After witnessing this for myself, I knew I wanted to become a part of it. To be able to contribute in some small way to the development of these amazing puppies is very gratifying. 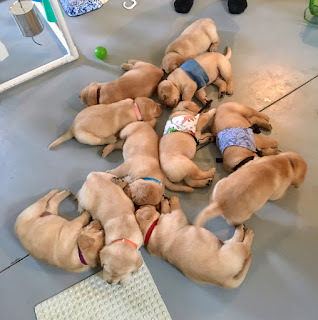 If you have a love of dogs and are willing to devote some time and effort into learning how training, love, and patience can benefit those in need, I would strongly recommend that you check into puppy sitting and the other volunteer opportunities with Susquehanna Service Dogs. 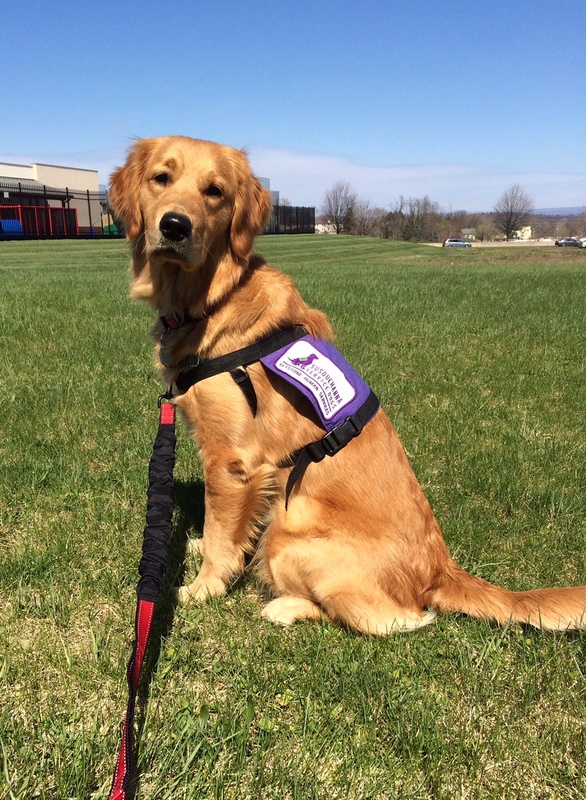 If you would like to become a puppy sitter or puppy raiser for Susquehanna Service Dogs, apply online today! 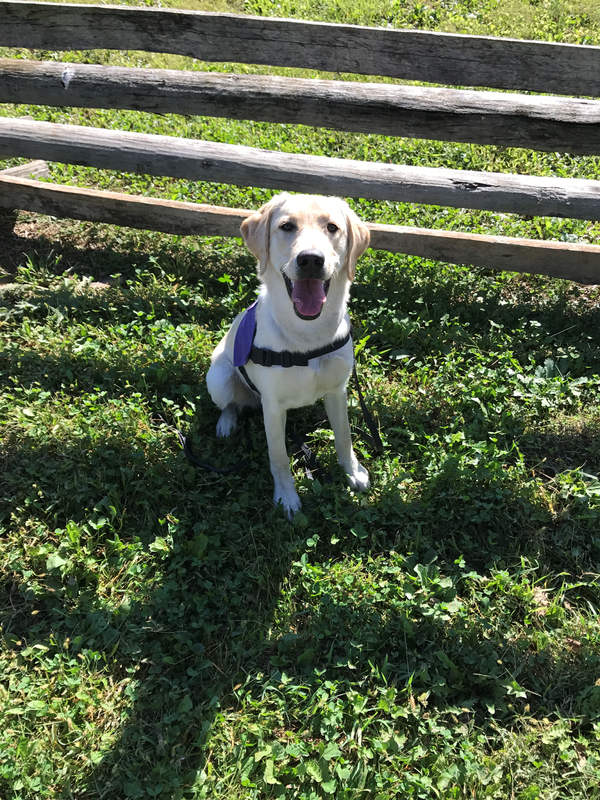 SSD Jitterbug is the seventh puppy I’ve raised for Susquehanna Service Dogs, and I think she’s the happiest puppy I’ve ever seen! Her name is SO appropriate. When her tail wags, her whole body wags! She turned 8 months in October and is a bundle of energy, cuteness, and love! She did well at her recent evaluation. This semester in puppy class, we worked on solidifying and proofing the basics: sit, down, stay, recalls, loose leash walking, and retrieves. We also worked with the target stick and introduced the heel box. The target stick is a piece of blue tape stuck to the end of a stick. The dog is trained to touch their nose to (or target) the tape. The heel box is how SSD trains “heel.” The dog anchors their front paws on the box and move their hind legs around it. Her favorite item to retrieve is a big old duck decoy. We’ve been working on retrieving other objects and making sure she consistently returns them to me. 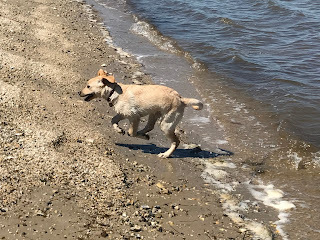 Jitterbug accompanied us to Chincoteague, VA this summer on a trip in our motor home. This trip presented many new opportunities. We live in a rural area with very little traffic. The campground was busy and we had close neighbors, some with dogs. Jitterbug was shocked to learn that not every family has Labrador Retrievers! The campground was a great place to practice loose leash walking and recalls. 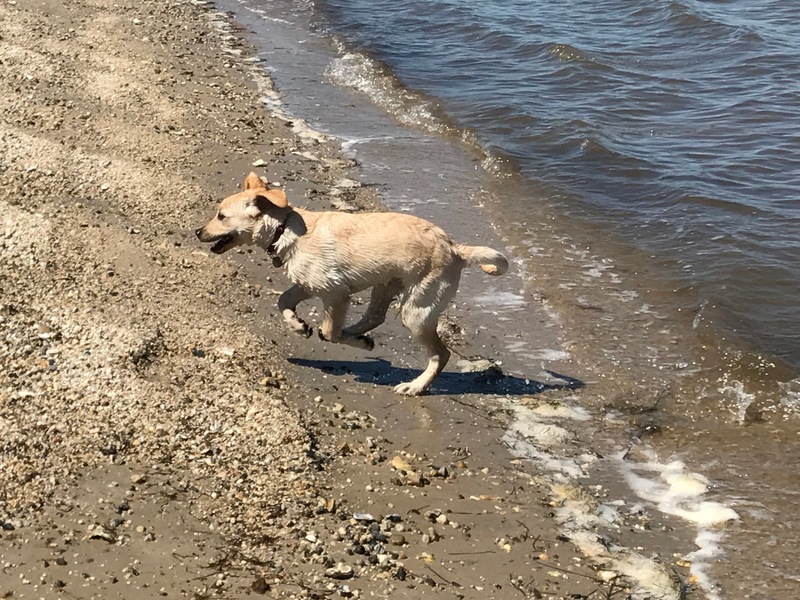 We found a wonderful dog-friendly beach where Jitterbug and our dog Barracks ran and swam until they were both played out. 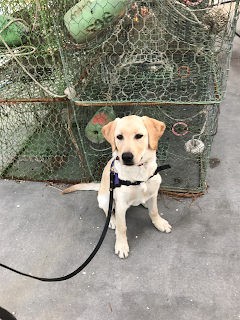 We visited restaurants, an outdoor café, and something that Jitterbug won’t experience in Pennsylvania—a crab processing shack! She remained calm and did some nice long down-stays. 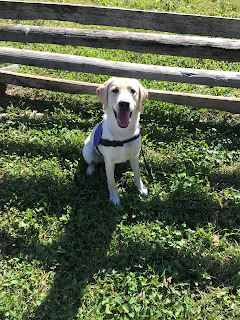 She was surprised to encounter a horse-drawn carriage in Berlin, MD, and I was surprised at how quickly she recovered and gave me her full attention. And of course, when you’re traveling with a cute puppy, there are tons of opportunities to practice greetings! 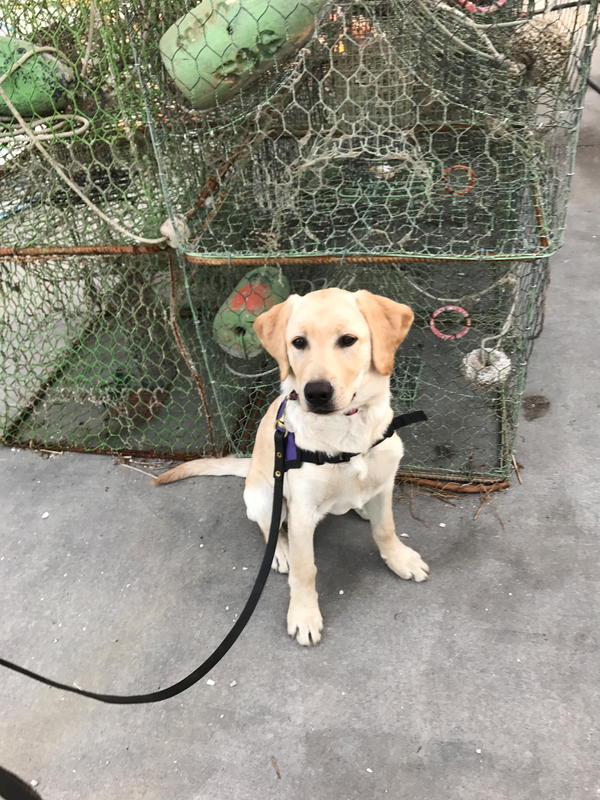 During this past semester of puppy class, Jitterbug attended two outings. 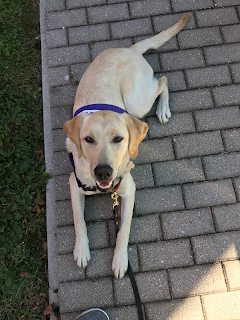 The first was to the Army Heritage Center in Carlisle, PA. We gathered outside with many other SSD puppies and raisers and worked on good attention with power treats and frequent clicks. We spent about 45 minutes exploring the grounds and the various buildings. This outing presented lots of opportunities to walk on new surfaces and practice self-control around other dogs. The second outing was the Ghosts of Gettysburg Tour. Again, we gathered outside with many other SSD puppies and raisers and working on good attention. Then we walked as a group on the tour. The biggest challenges were the other dogs, the smells, and the traffic. The common thread for both outings was my music for the drive home—the rhythmic snoring of a very tired puppy! 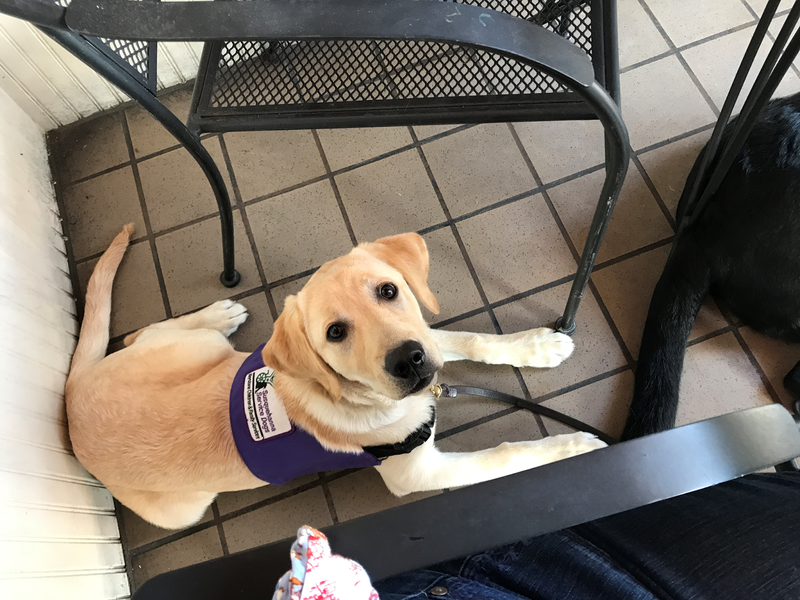 Jitterbug has just started her journey to become a service dog. She’ll spend the next year with Sue, and then she’ll come to advanced training where she’ll be matched with a person and then trained specifically to assist them. You can help us fund these perfect matches on November 28 for #GivingTuesday. Our goal is to raise $7,500 in one day to fund the perfect match. You can learn more and donate on our website.